In an August and spectacular gathering, the entire traditional rulers in Ikeduru Liocal Government Area at the palace of the chairman, HRH Eze Marcel, Egemonu, Ebi I Of Ebikoro, solemnly blessed the governorship candidate of Zenith Labour Party, Barrister Humphrey Anumudu. Presiding over the prayer, Eze Egmonu prayed God to see the illustrious son of Mbike (Mbaitoli and Ikeduru), Humphrey Anumudu through in his honest ambition to govern Imo state in 2019. He eulogized Anumudu for his unblemished character and philanthropy through which he has empowered many indigenes of “Mbike” and rescued them from unemployment and social vices. Eze Egemonu was optimistic that since Anumudu has been so magnanimous with his wealth while an ordinary citizen, he will surely alleviate the suffering of the masses of Imo state when he becomes a governor. 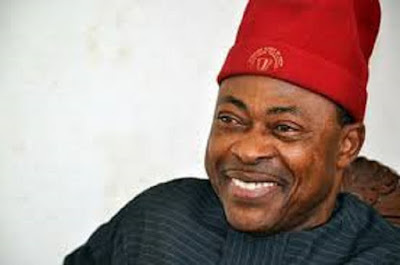 In their separate speeches, the rest of the traditional rulers centered on Humphrey Anumudu’s character, which according to them distinguished him from the rest of all governorship candidates in Imo state. In his speech earlier, Barrister Humphrey Anumudu, the flag bearer of Zenith Labour Party expressed disgust with the primitive nature of roads in Mbaitoli and Ikeduru and promised to give them priority attention as soon as he takes offices as the governor of Imo state in May 2019. Barrister Anumudu promised Ndi Eze in Ikeduru and the entire Imo state, to elevate their status accord them more recognition and more remuneration for their immense services to the state through their communities. Speaking at the occasion, the National Chairman of the party, Barrister Dan Nwanyanwu highlighted the sterling qualities that make Humphery Anumudu unique. Barrister Nwanyanwu urged the royal fathers to request their subjects to vote for their illustrious son, who obviously is the best option in the race for Imo governorship. Major highlight of the occasion was the biblical washing of the feet of Anumudu and his deputy Rt. Hon. Okey Dike.